The caveats, the chapters listing and the technical discussion are in Chapter 0 of the Weapons Locker – Melee Weapons document. The meaning of these words varies from area to area and era to era. For our purposes a shiv is a flat, slim knife meant to be carried concealed against the body to evade casual searches. Holsters sewn inside a vest or in the back collar. As a pendant (or holstered along the back of a tie). Shivs can be professionally-made weapons, for instance made of surgical steel. In this role they are usually used as assassination weapons, left behind in the stabbing victim. A common variation is a professionally-made pen knife – that is, a knife blade camouflaged inside a pen. Less common variations include slim blades hidden within a bewildering variety of everyday objects. Shivs are also strongly associated with prisons. There, they are usually produced by patiently grinding suitable pieces of metal or plastic against concrete until they have a stab-worthy point. This variation is often called a “shank”. Shanks are usually intended for murder, self-defense and/or intimidation. Improvised shivs can also be found outside – the most famous example being the icepick used to assassinate Leon Trotsky . Cinematic shivs and shanks could even be made of undetectable materials such as multiple layers of specialised paper glued together. Shiv [BODY 02 (1 for a prison shiv), EV 01, Miniaturisation: 01]. Prison shiv [BODY 01, Enhance (EV): 01 (cap is 03), Miniaturisation: 01, Descriptor: Piercing]. Professional shiv [BODY 02, Enhance (EV): 01 (cap is 04), Miniaturisation: 01, Descriptor: Piercing]. An example of what we call a shiv in this article – source http://wilkins-knives.blogspot.com.br/ . Typical shanks – multiple sources, presumably from police photos. There exists an immense variety of knives, daggers, dirks, etc.. These have blades ranging from 5” or less to something more akin to a short sword. Here, we’ll consider that this category covers blades that are 6-to-9”-ish. This usually means a weapon usable in combat. Basically every culture came up with knives designs and techniques, as well as symbolic associations. In Western fiction knives are often associated with street criminals. Yet certain designs also commonly appear in the hands of military and outdoorsy characters. In other times and cultures they may be a normal part of dress or a common self-defense weapon. Knives are also great tools in low-tech environments, or when outdoors. They can be used for woodworking, getting firewood, skinning and butchering game, opening stuff, minor climbing, minor digging, etc.. Having one around is frequently useful. Modern designs might increase this utility with specialised areas on the blade, such as a part having saw-like serrations to saw through stuff, or a notch to serve as a wire cutter. 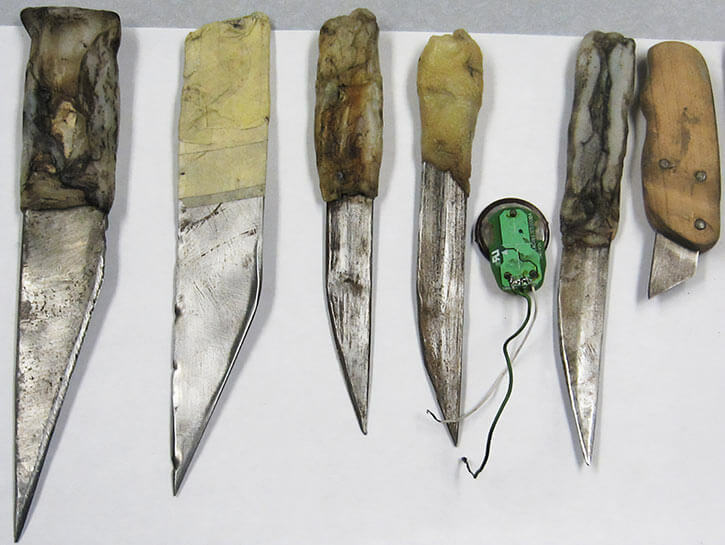 Some gauchos in the pampa reportedly used their knives to listen to distant vibrations. They stuck the blade in the soil and kept their ear against the handle. Knife [BODY 03, EV 03]. Knives used by real professionals will have a BODY of 05 or even 06. Run-of-the-mill knife [BODY 03, Enhance (EV): 01 (cap is 05), Descriptor: Piercing]. High-end combat knife [BODY 05, Enhance (EV): 01 (Cap is 06), Descriptor: Piercing, Slashing]. Knife [Strength-Based piercing Damage 1, Improved Critical 1]. Knife experts might have fighting styles built as Powers with the Sustained and Easily Removable (requires a knife) Flaws. See Vicious or Diamondback (Stryker) on writeups.org for examples. Drawing of a Fairbairn-Sykes knife, a notable World War II design. Source: wikimedia. The Ka-Bar is iconically associated with the USMC. Source: ebay. Replica of a XVth century German dagger with a 6″ blade by the Crescent Moon Armoury . Just like the old-fashioned pocket knives. You fold out the blade from the handle then lock it. The most simple and reliable approach, but it doesn’t look too tough. So some folks call them “tactical folders” to sound harder. Now strongly associated with mid-XXth-century youth gangs. These weapons use some sort of spring-loaded system to deploy the blade out of the handle. Either it forcefully slides forward, or it springs in an arc from the side. This is faster than a folding knife. Seeing the blade flick out and gets locked in position with a mechanical noise can intimidate folks who are not used to it. In game terms switchblades might even have a few APs/Ranks in an intimidation skill. Since they are usually heavily legislated against, switchblades tend to be of terrible quality. They’re often bought in frontier shops or from illicit street vendors. On the other hand, some get made by reputed knifemakers in small series for specialised needs. This short video shows a number of common automatic knives (and a balisong, for some reason – more about these later) being sprung open. Flick the blade lock open. Point the handle toward the ground (or jerk it forward) to have the blade slide out of the handle under its own weight. Flick the blade lock closed. One variant of the gravity knife concept has the top 3” or so of the blade always out of the handle. This gives the impression that the knife is an utility blade (and legal to carry). Unlocking the blade and having it slide out reveals a full-sized fighting knife. A common Filipino knife design. The handle is made of two halves hinged at the base of the blade. Both halves are pulled back to reveal the blade and meet to form a handle. A skilled person can open a balisong quickly and with one hand. This can be quite intimidating. There exists a host of techniques for flipping and twirling balisongs. This is basically a form of juggling. Balisong are sometimes called “butterfly knives” so they can be confused with unrelated Chinese weapons. Like with switchblades, a lot of balisong are cheap junk. Deployable knife [BODY 03, EV 03, Miniaturisation: 01. Some may have Charisma (Intimidation): 02]. Junk deployable knife [BODY 02, Enhance (EV): 01 (cap is 03), Miniaturisation: 01, Descriptor: Piercing]. Professional deployable knife [BODY 03, Enhance (EV) : 01 (cap is 05), Miniaturisation: 01, Descriptor: Piercing]. Deployable knife [Strength-Based piercing Damage 1, Improved Critical 1, Feature 1 (Collapsible). Some may have Intimidation 1]. An iconic Italian-style switchblade ; this design is archetypal of numerous sorts of XXth century gangs and criminals. Source: wikimedia. A typical balisong. Source: Arizona Custom Knives . A handle that can be held within a fist, with a sizeable blade or spike protruding in front of the fist. Modern high-quality designs tend to have a stout non-slip grip with a short triangular steel blade. On the other hand there’s a lot of cheap junk floating around that isn’t safe to use. This type of blade is also called a “push knife”. They concentrate the entire force of a punch along the edges and point of a blade. Punch daggers are small and easily hidden. A typical trick is to have one built into your belt buckle. Punch daggers can be used without specialised training. They are favoured by folks who have to fight in cramped quarters, in poor visibility, etc. and need something small and quickly drawn. They are also, in some stories, associated with commandos silently murdering sentries in the night. This type of weapon is much smaller than a katar (which are also sometimes called “punch daggers”). And doesn’t protect the hand like most katars do. Punch dagger [BODY 04, EV 02, Miniaturisation: 01]. Cheap punch dagger [BODY 03, Enhance (EV): 01 (cap is 04), Miniaturisation: 01, Descriptor: Piercing]. Professional punch dagger [BODY 05, Enhance (EV): 01 (cap is 05), Miniaturisation: 01, Descriptor: Piercing]. Punch Dagger [Strength-Based Close Piercing Damage 1, Improved Critical 1, Feature 1 (Very small)]. A typical push knife design by Cold Steel . There is, at first glance, little in common between this Japanese knife type and this American knife type. However, both have a mystique for piercing through tough materials. This can easily be exaggerated in fiction and results in similar game stats. Bowie-style knives originate with Colonel Jim Bowie . He died at the Alamo and was famous for his lethal victories in knife fights. Bowie knives are meant to be huge, with something like a 10” blade. The upper back of the blade is made of softer metal to have grip when parrying a knife. The top edge of the distinctive clip point can be particularly sharp. The tall tales about Bowie knives tend to be about this edge, and how it can shear through bone and thick leather. Tanto-style knives originate in a medieval Japanese design. They sport a chisel-like point intended to penetrate period lamellar armour. Knifemakers worldwide now offer this design. A high-quality tanto blade can repeatedly stab through a car hood or a comparable light obstacle. Such a blade is also pretty good at prying things open quickly and unsubtly. Tanto-style knives are thus carried by some SWAT officers and commandos – not for combat, but for utility. Due to their mystique, cheap knockoffs of Bowie and tanto blade styles abound. But action protagonists will always have the real McCoy. Armour-piercing knife [BODY 04, EV 03, Sharpness (EV): 01]. High-end, armour-piercing knife [BODY 04, Enhance (EV): 01 (Cap is 06), Sharpness (EV): 01, Descriptor: Piercing]. Armour-piercing knife [Strength-Based piercing Damage 2, Improved Critical 1]. A low-price replica of a typical Bowie-style design, with a 9″ blade, from World of Western and other online shops. The Böker Armed Forces, picked since it has a very visible chisel point and follows “tactical”, mmm, design sensibilities. What some folks call “tanto” is closer to a Japanese mini-sword. For instance one such weapon was featured in Highlander. Here is a common mass market model, by Cold Steel . In comics, people carrying Japanese and/or pseudo-Japanese weaponry will often this type of big knife, though it usually has basic knife stats. Hatchets are endlessly useful outdoors, especially the sort of outdoors that includes trees. In a low-tech milieu, carrying one is a good habit, and they inevitably became weapons. Tong enforcers during the early XXth century, especially around San Francisco. The myths and anecdotes that developed around this criminal muscle made the term “hatchetman” synonym for “killer”. The hatchets they used were usually plain old hatchets. But in fiction a more Chinese design will probably be used, such as a short-handled hatchet whose handle is also a dagger. Tassel optional. Tomahawks, which saw a lot of use in early colonial America. What most folks have in mind when hearing “tomahawks” are trade tomahawks. These are hatchets with an iron blade, which many natives and settlers found useful. Various native cultures bartered to get these metal-bladed tomahawks, which replaced the stone blades previously in use. Tomahawks are well-balanced for both throwing and melee. Styles with fighters dual-wielding a tomahawk and a hunting knife were reputed as being particularly deadly. Here are possible techniques in such a paired style, using the tomahawk as a hook as well as a blade. If you need to get a sense of how a hatchet behaves in flight, many people throwing knives as a hobby also throw tomahawks. This video is a pretty good explanation and demonstration about throwing tomahawks and Bowie-type knives at a realistic range. Hatchet [BODY 03, EV 03]. Hatchet [BODY 03, Enhance (EV): 01 (cap is 04), Descriptor: Slashing]. Hatchet [Strength-Based slashing Damage 2]. Stock photo of a typical hatchet. Render of the tomahawk model used in Assassin’s Creed video games. Source: AC wiki . a metal rod with blade-trapping lateral quillons (two for a sai, one for a jitte); These are often wielded paired. Some forms of Indian trishula (“trident”) are very similar to sai. These weapons used to be exotic, but have become common in super-hero comics books since the 1980s. They usually come as a sharpened sai, fully usable for stabbing or even tip-slashing. Elektra was the landmark character for these weapons, which thus became associated with comic book ninja. Most real-world instructors take a dim view of sharpening sai. But you know how it is with comic book ninja. Damn ninja. Sai can be thrown. They can also be flipped around the hand so the handle protrudes from the hand and the rod rests against the forearm. In this position they can still parry effectively, and can be used with karate techniques. Though comic book ninja essentially use sai as fancy daggers, these weapons are often seen as optimised to face swordsmen. They efficiently parry blades and offer opportunities to disarm the enemy by trapping their blade between the rod and one of the side tines. In this role they are often seen as a medieval police weapon. There’s a small number of police departments nowadays armed with sai in modern materials, mostly intended to defend against knife-wielders. Pointed sai (basic use) [BODY 04, EV 03]. Pointed sai (skilled use) [BODY 04, EV 03, /STR/ 06, Limitations : /STR/ only for the Disarm maneuver and cannot increase the STR of the wielder by more than one AP (-2) ; Note : OV/RV when using the Block Manoeuvre is 1 AP, Note: the OV bonus for the Shield Cover Manoeuvre is 1 AP, Limitation: Blocking bonuses can only be used against melee attacks, and the GM may rule that some weapons are too large for the sai]. Pointed sai (basic use) [BODY 04, Enhance (EV): 01 (cap is 05), Descriptors: Blunt, Piercing]. Pointed sai (skilled use) [BODY 04, Enhance (EV): 01 (cap is 05), Enhance (Disarm Manoeuvre EV): 01 (cap is 06) ; Descriptors: Piercing, Blunt ; Note : OV/RV when using the Block Manoeuvre is 1 AP, Note: the OV bonus for the Shield Cover Manoeuvre is 1 AP, Limitation: Blocking bonuses can only be used against melee attacks, and the GM may rule that some weapons are too large for the sai]. Pointed sai [Strength-Based piercing or blunt Damage 1, Improved Critical 1]. Users with specialised training will often have the Sai Use Power (Improved Defense and Improved Disarm Advantages, both Sustained and Easily Removable (requires a sai), worth 1 point, Descriptor: Skill. See also Black Lotus’s entry for a more intricate Powers set. Jennifer Garner in Elektra with paired sai. Source: Rotten tomatoes . Like with knives there are thousands of designs of brass knuckles across the world and centuries. The general principle is to make your fist heavier and protect your fingers when punching. The human hand is well-adapted to punching things, but stuff happens. Fist loads – a small, hard, heavy object held in your fist to make it heavier and to keep your fist formed correctly to reduce the chance of injury. Basically a brass knuckle without the rings. Some stories have characters use rolls of coin for that – of course, as the last punch is thrown and the fight is won, the paper container finally rips open and the coins fly off in slow motion. Four-finger rings – heavy metallic jewelry worn across the knuckles, which can serve as a slightly-subpar brass knuckles. Usually intended to sidestep legal restrictions about weapons associated with the lower classes. These are popularly associated with some rap artists who love bling, particularly if the rings are topped with a nameplate displaying their stage name. Tekko – a studded D-shaped metal frame, with the vertical bar being the handle. Usually used paired. Some brass knuckles, especially decorative fantasy models, have blades, spikes and the like. Most such designs are not practical, but some might be treated as punch daggers (without the concealability). Most of the time the spikes and blades are too small to count and in game terms it’s just brass knuckles. Basic brass knuckles are discreet, easily carried in a pocket, cheap, and low-tech. Yet they make punches significantly more dangerous, especially if the target isn’t expecting it. They can thus be popular in violent areas where they are legal (and sometimes when they aren’t). 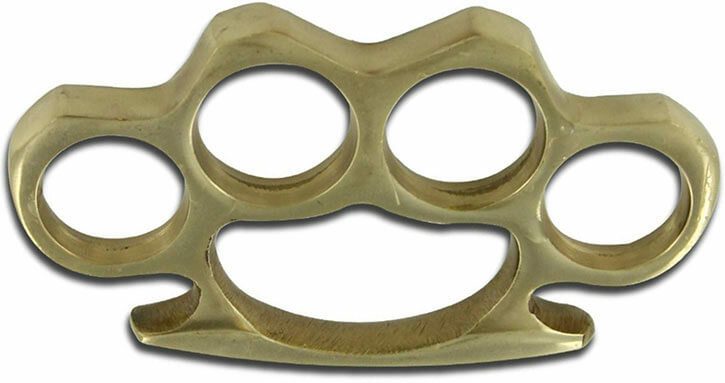 Brass knuckles [BODY 04, EV 01, Bonus: +1CS OV/RV to resist Disarm attempts]. Brass knuckles [BODY 04, Enhance (EV): 01 (Cap is 04), Descriptor: Blunt, Bonus: +1CS OV/RV to resist Disarm attempts]. Brass knuckles with a higher Enhance cap certainly exist – for instance those used by Guff or Travis Clevenger. They’ll also have a higher BODY score. By contrast small, shoddy brass knuckles will have the Unarmed descriptor rather than the Blunt one. Brass Knuckles [Strength-Based Close Blunt Damage 1, Feature (+4 to rolls to resist attempts at disarming)]. An archetypal-looking brassk knuckle. Source: Weapons Universe . Kobudo practicioner with paired tekko. Source: Okinawan Karate-Do Academy . These are not too different from brass knuckles in usage, but they can’t be disarmed, protect better, look less conspicuous and do not have to be drawn. Many low-tech suits of armour are reinforced in such a way that gauntlets qualify as brass knuckles, even if it’s just a studded leather glove. Metallic gauntlets certainly do ! 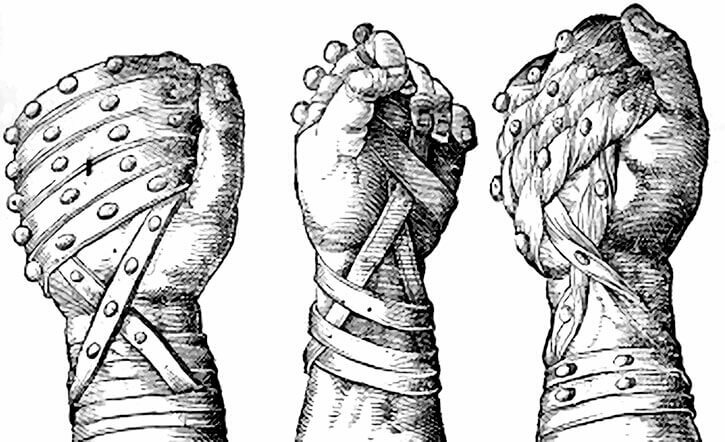 The Roman term for reinforced gloves (singular: cestus). 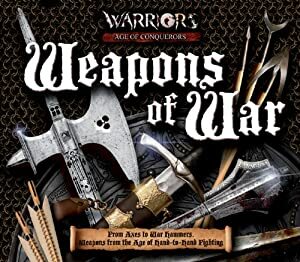 Various weapons could be classified as cesti – spiked gauntlets, boiled leather straps with spikes or studs wrapped around the hand, banded metallic gloves, etc.. Especially in a RPG context, where the meaning of the term broadened. Some cesti can be improvised. For instance a tough leather belt with an appropriate and large buckle, selected and set at the right length to be wrapped just right around the hand with the buckle on top. Some unusual pieces of clothing also count. For instance a heavily-spiked glove like the ones worn by the Ghost Rider during the 1990s probably count as a cestus… assuming it’s reinforced inside. A modern design. These are usually leather gloves with a sealed pocket within the body of the glove above the knuckles, filled with powdered lead. Most such gloves look ordinary, though some models make it obvious that there’s extra material, for instance for intimidation value when worn by a bouncer. A sap glove makes the fist heavier, and the layer of powdered metal diffuses the impact. 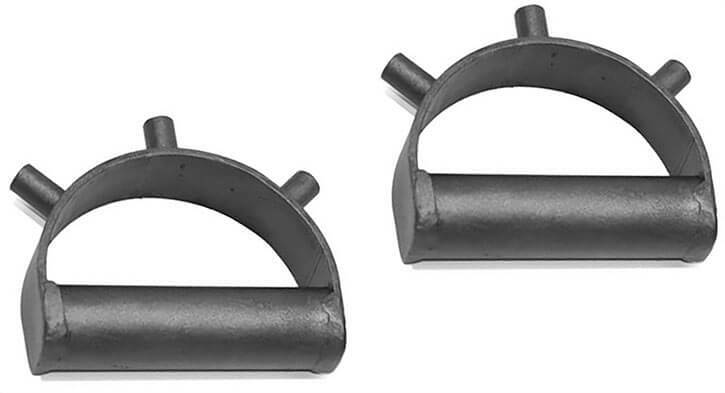 This efficiently protects the hand even when striking something hard, and the punch is both heavier and less likely to inflict lasting damage (unlike a brass knuckles that concentrates the force along narrow, rigid surfaces). Some boxing traditions (such as those of the Hausa or Khmer) have been depicted as using hand wraps or ropes dipped in a sticky fluid. These are then pressed against ground glass so the glass will stick out of the wrappings and slash opponents. Whether people ever regularly did that is dubious, but that doesn’t matter in fiction. Though such an arrangement can be considered a form of cestus, in game terms it will not provide bonuses against targets that are too hard to be cut by ground glass. Meaning RV 7+ in DC Heroes, anything with at least one Rank of Impervious in DC Adventures. REINFORCED GLOVES [BODY 03, EV 01]. REINFORCED GLOVES (light) [BODY 03, Enhance (EV): 01 (cap is 04), Descriptor: Unarmed]. REINFORCED GLOVES (heavy) [BODY 04, Enhance (EV): 01 (cap is 05), Descriptor: Blunt]. Reinforced gloves [Strength-Based Close Blunt Damage 1]. Baton, nightstick, fighting stick, truncheon, billy club, escrima stick, tambo, club, a good length of metal piping, a fire-hardened piece of a branch, a suitable tyre iron… A tough, heavy, well-balanced stick that is somewhere between 1 and 2 feet long. Swinging them serves as a lever-like force multiplier, and the extra reach is appreciable. Batons are usually made of hardwood (or rattan, depending upon the area). Modern batons are made of plastics to reduce the odds of breaking bones. Batons can be used as a wrestling aid and/or to apply pain compliance holds. This is rarely seen in fiction, though, and was not part of official police training in many countries. Cops mostly hit people on the head back then. In recent decades, the function of a baton is often filled by a long, metallic flashlight. These are just as good for beating people up as a hardwood truncheon and are toughened to keep providing illumination after that (in DC Heroes about 3 APs of Flash, only to provide steady illumination ; in DC Adventures a 1-point Feature). Another modern evolution is telescopic batons. These steel truncheons will telescope out of their non-slip handle when jerked forward. Thus, they take little room on a police belt or in a jacket pocket. Deploying them can intimidate the unwary due to the metallic noise. Having them telescope back into the handle is usually far less slick and intimidating, depending on the amount of swearing as you try to get it back in. In DC Heroes telescoping batons have Miniaturisation: 01, in DC Adventures they have a one-point Feature. Baton [BODY 03, EV 03]. Terribad/improvised club [BODY 01, Enhance (EV): 01 (cap is 03), Descriptor: Unarmed]. Baton (basic use) [BODY 03, Enhance (EV): 01 (cap is 04), Descriptor: Blunt]. Tough baton (skilled use) [BODY 04, Enhance (EV): 01 (cap is 05), Enhance (Wrestling/Grappling EV): 01 (cap is 06), Descriptor: Blunt)]. Baton [Strength-Based blunt Damage 2]. Some batons in comic books have extraordinary physical properties. Take for instance the billy clubs used by Daredevil, which can somehow ricochet off multiple hard surfaces and still hit hard enough to knock someone out. Among the numerous styles of stick-fighting in the world, the Filipino schools of escrima have garnered significant attention. These are generally very fast styles used at very close range. The video below is footage of exercises and sparring from one such school, the Liborio G. Heyrosa De Cuerdas Eskrima dojo. Though it may not be easy to follow, the blows are struck very lightly (since this school practices without wearing body armour) and there isn’t any pause in the sparring when a blow is struck. Many comic book characters, the most famous being Nightwing (Richard Grayson), are escrima-trained. Howbeit, on the page they are seldom drawn using techniques resembling signature escrima fighting. Longer truncheons (20” or more) are not small weapons — but they have the same game stats in both DCA and DCH. Examples of such truncheons include riot batons (a police baton that is much longer and heavier than what is carried on normal duty), or the japanese hanbō (“half-length staff”). As a video example here is footage from my own school, the Bujinkan, showing common grips and moves with a hanbō. As can be seen, bujinkan practitioners treat their weapons as a sort of extra limb rather than a club. They also traditionally hate joints, particularly wrists. Joints must die. Yet another evolution for police batons has been to adopt the design of the tonfa. This is an Okinawan weapon used in kobudo and since adopted by various other styles (including non-Japanese styles, such as hapkido). The main model, by Monadnock, is commonly found on police belts all over the world. The current version of the PR24 is also partially telescoping. The tonfa would have been in the exotic weapons section some years ago, but nowadays it’s a common weapon. Most police using a tonfa-style baton are not trained in a full range of combat techniques. 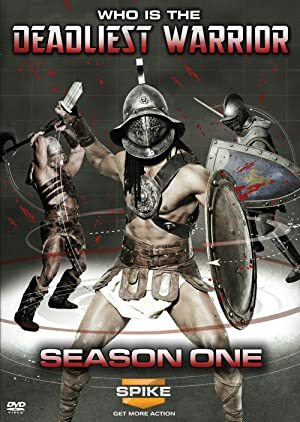 Because being attacked with a sword or spear is not generally one of their problems. But action heroes certainly will. For those unfamiliar with the weapon, here are quick explanations about striking with a tonfa – again by Shihan Nishiuchi. Martial arts films choreography also emphases the tonfa’s ability to block attacks using the longer side held against the forearm. This is usually depicted as working very well even against deadly weapons such as swords. A tonfa is also an excellent wrestling aid and pain compliance tool. Fiction shows them in that role more often than it does batons. Tonfa (basic use) [BODY 04, EV 02]. Tonfa (skilled use) [BODY 04, EV 02, /STR/ 05, Limitation: /STR/ can only be used for Wrestling and Grappling purposes, and can only increase the user’s STR by one AP (so a character with a STR of 03 would have a tonfa provide /STR/ 04 for Grappling/Wrestling, Note : OV/RV when using the Block Manoeuvre is 1 AP, Note: the OV bonus for the Shield Cover Manoeuvre is 1 AP, Limitation: Blocking bonuses can only be used against melee attacks]. Tonfa (basic use) [BODY 04, Enhance (EV): 01 (cap is 05), Descriptor: Blunt]. A low tech or cheap tonfa could have BODY 03. Tonfa (skilled use) [BODY 04, Enhance (EV): 01 (cap is 05), Enhance (Wrestling/Grappling EV): 01 (cap is 07), Note : OV/RV when using the Block Manoeuvre is 1 AP, Note: the OV bonus for the Shield Cover Manoeuvre is 1 AP, Limitation: Blocking bonuses can only be used against melee attacks]. Tonfa [Strength-Based blunt Damage 2]. Users with specialised training will often have the Tonfa Use Power (Improved Defense and Improved Hold Advantages, both Sustained and Easily Removable (requires a tonfa), worth 1 point, Descriptor: Skill. The classic version of the Monadnock PR-24. 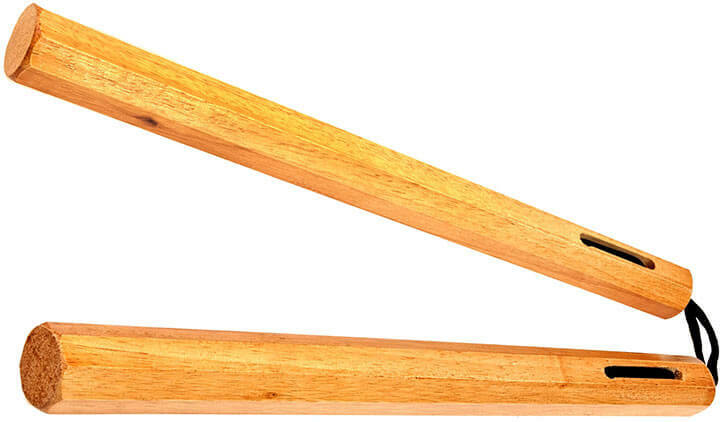 Typical cherry wood tonfa. Source: Playwell martial arts . Another weapon that used to be exotic as far as Western fiction was concerned. Among the techniques taught by many martial arts schools. In the arsenal of street fighters using melee weapons. In the hands of artistic demonstrators. Some police departments even reportedly replaced their nightsticks with nunchucks for a short time. A nunchaku is two 10”-ish truncheons connected by a chain or rope. It’s cheap and fairly easy to carry concealed, especially if you happen to have breasts. Most nunchaku techniques are not visually spectacular. In these the weapon is wielded as truncheons or as a wrestling aid, using the truncheons and/or the connecting chain to apply holds. Fictional characters are not too likely to use these techniques, but these have a way to pop up during RPG sessions so game stats include them. More conspicuous uses feature them as a light, very fast flail that can be spun and swung at 140+ km/h. Experts can very quickly change angles of attacks and chain a series of attacks, and fictional nunchaku wielders are usually lightning-fast. But even for a beginner, spinning a nunchaku in front of them in a figure 8 does a good job at keeping opponents at bay. It also offers a platform from whence to launch simple diagonal attacks. And for something more dynamic and youthful here’s a video of a stuntwoman demonstrating a number of artistic and cinematic nunchaku techniques, mostly dual-wielded. Note the difference in grips, as speed and coordination are now emphasised whereas the grip in the previous video focused on power and reach. Nunchaku (skilled use) [BODY 02, EV 04, /STR/ 05, Enhanced Initiative: 02, Limitation: /STR/ can only be used for Wrestling and Grappling purposes, and can only increase the user’s STR by one AP (so a character with a STR of 03 would have a nunchaku provide /STR/ 04 for Grappling/Wrestling]. Run-of-the-mill nunchaku (basic use) [BODY 02, Enhance (EV): 01 (cap is 04), Descriptor: Blunt]. Robust nunchaku (skilled use) [BODY 03, Enhance (EV): 01 (cap is 06), Enhance (Wrestling/Grappling EV): 01 (cap is 05), Enhanced Initiative: 02, Descriptor: Blunt]. Nunchaku [Strength-Based blunt Damage 3]. Users with specialised training will often have the Nunchaku Use Power (Improved Initiative and Improved Hold Advantages plus Reach 1, all being Sustained and Easily Removable (requires a nunchaku), worth 2 points, Descriptor: Skill. Nunchaku variants include spiked nunchakus, bladed nunchakus (occasionally called “bleeders”) and studded nunchaku. While certainly unpleasant in real life they do not change the game stats. The damage scores above are already highballed, since in the movies Bruce Lee commonly dispatch opponents in but one or two nunchaku strikes. However, the signature nunchaku used by a given character could certainly have higher or more stats if it is bladed, studded, spiked, made of dense metal such as titanium, etc.. And in DCA, that could be a rationale for Improved Criticals. One last variant are nunchaku with telescoping truncheons (Miniaturisation: 01 in DC Heroes, a one-point Feature in DC Adventures). Basic, no frills red wood nunchaku. Source: Playwell martial arts . The name “stun gun” is slightly misleading. This electrocution device must be jammed against the target so the electrical arc between its prongs can shock them. It’s not shot across a distance like a gun. Ranged weaponry using the same principles are usually called tasers – a commodification of the brand name TASER™. See our Less-Than-Lethal Modern Firearms article for these, and some considerations about electrical weaponry. In fiction, stun guns are usually depicted as miracle weapons instantly knocking opponents out. Well, with the possible exception of unusually large and powerful opponents. Stun Gun [BODY 01, Lightning: 04, Ammo: 12, R#03, Limitations: Lightning has No Range]. Stun Gun [Close Affliction 6 (Daze/Stun/Incapacitate, resisted by Fortitude)]. 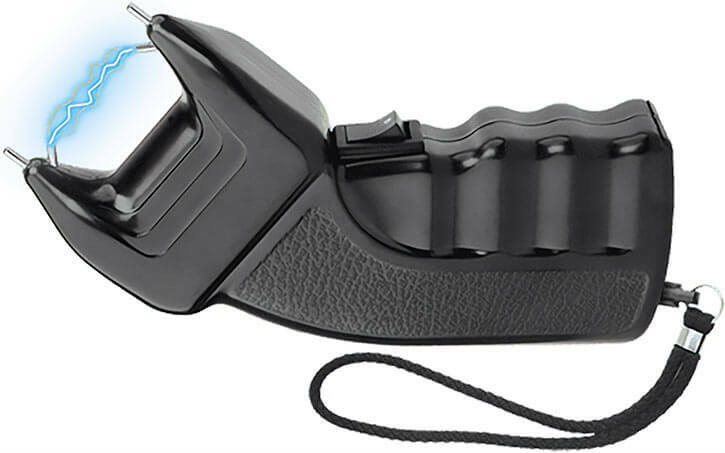 A generic-looking, older model of stun gun. Source: Howstuffworks.com . A small aerosol projecting a cloud of inflammatory gas. The active principles are often extracted from spices such as chili or cayenne pepper. This is a small cloud that needs to be sprayed at the head, making these sprays mostly useful in melee combat range. Heavy-duty models, usually used by the police, can be used from a few metres away. 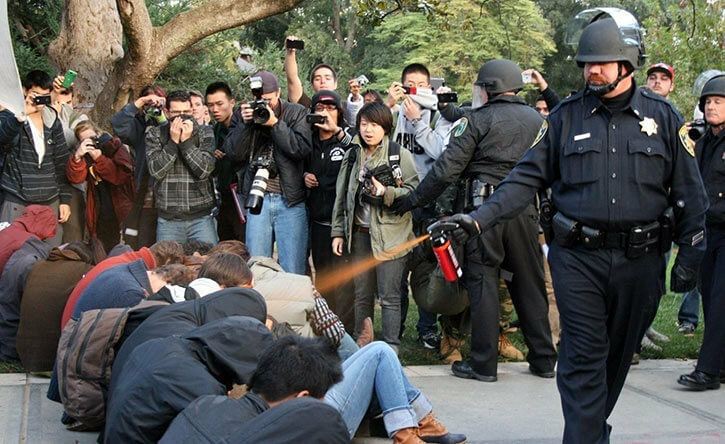 Spraying people in the face is a normal attack. It is not a called shot with penalties for targeting a specific body part. Since this is gas and there are different possible chemical approaches to achieve the same broad result, the efficiency of such prays is very variable. It goes from a tiny spray attached to a keychain that wouldn’t deter an hypochondriac chicken, to specialised capsaicin-heavy sprays capable of sending a black bear packing. Many sprays will have one or two APs/Ranks less than listed. Some may have one or two more. The latter is rarer and usually requires a knowledgeable buyer, since understanding the relative strength of the various formulations isn’t easy. Mini-spray [BODY 01, Chemical attack (No Range): 03, Ammo: 02, Miniaturisation: 01, R#3]. Mid-sized spray [BODY 01, Chemical attack (0 APs Range): 04, Ammo: 04]. Big-arse spray (police or bear) [BODY 01, Chemical Attack: 05, Ammo: 04, Range: 01, Advantage: Scattershot, Autofire, Limitation: Chemical Attack has no Range, use the listed Range instead]. Mini-spray [Close Visual Dazzle 4, Quirk (two shots), Feature (very small)]. Mid-sized spray [Close Visual Dazzle 5, Reach 1]. Big-arse spray (police or bear) [Close Visual Dazzle 6, Reach 2]. Traditional gas sprays are susceptible to strong wind and pouring rain. More recent formulations shoot a sort of foam that isn’t susceptible to the problem. It also makes it much less likely that inexperienced, stressed-out users will be affected by their own spray. For aerosols, the spray is usually orange. While weak formulations will not stop a determined attacker, heavy duty sprays such as those used by police are extremely painful. The effects last for hours. The eyes swell shut with a boiling sensation, and the skin feels like it’s on fire. This expression is often used as an exaggeration, but that is the best description in this case. A milk-soaked towel can help neutralise some of the effect, but after that all you can do is apply a towel soaked with soapy water to get the oil out. If such measures are not available, burning can continue for about 4 hours. Spraying a defenceless person can reasonably be considered torture. (This is a bit I wrote by accident, ignore it for now). Impact gloves is a name sometimes used for gloves made of a latex-like substance that becomes rigid and steel-hard on impact, then quickly soften back to their normal state. They have all the advantages of sap gloves but do not impair manual dexterity – and they can be used to parry blows. This sort of technology tends to appear in science-fiction stories, by the Knights in the 1980s run of Checkmate had a uniform using it. It is frequently fireproofed. Helper(s): AzraelFL, Pufnstuff, Darthrose, Nicolas Lemaçon.